Teaching Observation Fellows are Columbia University doctoral students who work closely with the Center for Teaching and Learning and with each other during the academic year to better design, implement, and assess elements of teaching. Senior Teaching Observation Fellows help to mentor TOFs as they conduct teaching observation activities. Columbia doctoral students who have successfully completed the Innovative Teaching Summer Institute are eligible for this program. A call for applications for 2019-20 Teaching Observation Fellows will go out in June 2019. Teaching Observation Fellows receive a $2,000 stipend after successfully completing observation and reflection activities during the academic year. TOFs are expected to devote 30-35 hours per semester to the program. Attending a sequence of Teaching Observation workshops in the CTL during the academic year. Conducting a number of teaching observations and consultations in partnership with peers in the TOF program. These observations entail planning and reflection protocols, which TOFs execute collaboratively with guidance from the CTL. Activities include peer teaching observations, microteaching sessions, and consultations on syllabi, assignments, and lesson plans. 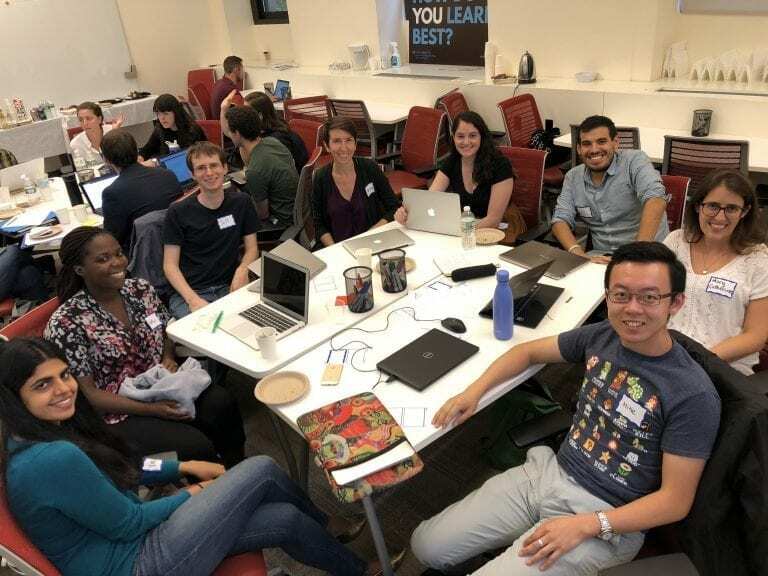 Partnering with graduate students trained as CTL Teaching Consultants to conduct structured teaching observations requested by instructors at Columbia. Observing at least one faculty member teaching in a different discipline, with follow-on written reflection. Hands-on exploration of formative assessment tools and approaches. Definition and measurement of inclusive teaching practices. Development of collegial and targeted conversations with colleagues about pedagogy in an interdisciplinary setting. Successful completion of this fellowship qualifies participants to be CTL Teaching Consultants in future years. Teaching Consultants are paid to conduct teaching observations for Columbia instructors across the university, under guidance of the Center for Teaching and Learning. Due to the confidential nature of teaching observations, access to the program website is limited to participants in this fellowship. Explore our teaching observation fellows opportunities.